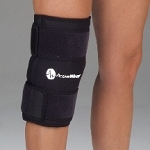 National Brace and Splint offers a variety of ice therapy solutions that are specifically designed to help patients alleviate pain and reduce inflammation naturally and effectively. Ice therapy is one of the foundations of rehabilitation and physical therapy. With National Brace and Splint's professional cold therapy solutions, you'll be able to self-treat a number of injuries without paying expensive medical bills. Save money and recover faster with these top-of-the-line cold therapy units. Cryotherapy is more commonly referred to as ice therapy or cold therapy. Cryotherapy is the use of low temperatures to remove heat from a part of the body to promote healing. The goal of cryotherapy is to reduce the temperature of an injured body part in order to decrease inflammation, reduce pain, reduce the chance of spasm, and to promote vasoconstriction (or to reduce blood-flow to the injured area). These effects of cryotherapy allow injured body parts to rest, thereby reducing the chance of further injury, reducing swelling and pain, and promoting a speedy recovery. National Brace and Splint offers a number of cryotherapy products designed to help alleviate the pain and swelling associated with a variety of different injuries including sports injuries like muscle pulls and sprains as well as post-operative injuries. The company's range of products include professional level solutions for treating sudden injuries and as well as long-term pain conditions. Ice therapy solutions can even be used to calm irritated skin or prevent bruising. AirCast Cryo Cold Therapy Unit - This unit provides steady cold pack therapy to afflicted body parts through the use of specially designed cold therapy packs. 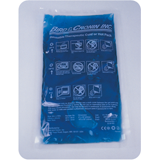 The removable cooler allows patients to get their cold compression packs as cold as necessary without limiting mobility. This unit is ideal for ice therapy following a trauma, surgery, or for other types of rehabilitation. Sizes are available for both adult and pediatric patients. Polar Care Cube Cold Unit - The Polar Care Cube Cold Unit offers motorized cold therapy for patients who have suffered a sports injury, a trauma, or who use ice therapy as part of their rehabilitation. Ergonomic, body-part specific pads that are designed to provide consistent cold compression to the affected areas can be used in conjunction with this motorized cold therapy system. AirCast Cryo IC Cold Therapy Unit (with Timed Compression) - The AirCast Cryo IC Cold Therapy Unit has the added benefit of a 30 second on/off cycle which automatically provides intermittent compression to the wounded area. This method of cold therapy is particularly effective at reducing swelling, minimizing pain, and preventing further injury. Polar Care Kodiak Cold Therapy Unit - The Polar Care Kodiak Cold Therapy Unit offers a powerful motor and an improved filtration system in order to provide top-quality cryotherapy. Specific Polar Care Kodiak pads designed to conform to different body parts are sold separately to most effectively provide cold therapy to your unique injury. bMINI Cold Therapy Unit - This small motorized cold therapy unit is only 8" x 10", yet it offers up to five hours of continuous cold therapy. Its small size makes it convenient to always have on hand without sacrificing quality or effectiveness. bPRO Cold Therapy Unit - The larger version of the bMINI Cold Therapy Unit, this unit offers up to eight hours of continuous cold therapy. This unit also offers patients adjustable temperature control. DonJoy Iceman Cold Therapy Unit (with Choice of Pad) - The DonJoy Iceman Cold Therapy Unit comes with your choice of pad. Whether you're suffering from a shoulder injury, a hip injury, a knee injury, or a foot injury, this motorized cold therapy unit can help you care for and recover from said injury with a professional level of ice therapy in your own home. 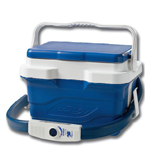 The DonJoy Iceman unit offers up to seven hours of continuous cold therapy. Cold has an immense power to heal the body. Whether your skin is irritated, your muscles are strained, or you are trying to get through postoperative rehabilitation, the simple application of cold can make a tremendous impact upon your body's ability to recover from your condition. Virtually any time someone hurts him or herself in a sport, the first course of action is to put ice on the injury. With National Brace and Splint's line of professional cold therapy solutions, you can be ready to care for any type of traumatic injury the way a professional physical therapist would. The motorized cold therapy units offered by National Brace and Splint are also an effective tool in helping to promote muscle rehabilitation. Cold decreases blood flow, slows nerve activity, and decreases oxygen demand. In other words, cold essentially allows your aches and pains the chance they need to rest and recover by minimizing your body's natural activities within the iced area. Ice therapy is a simple remedy but an effective one, and with National Brace and Splint's top-of-the-line cold therapy units, you'll be sure to give your body its best chance at recovering quickly and effectively. 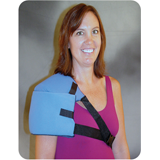 National Brace and Splint is an excellent choice for professional cold therapy solutions because the company offers the best products at the best prices. No other orthopedic solution company can provide the same level of quality at the price-point offered by National Brace and Splint. In addition, the company offers excellent shipping options at an affordable rate so that you can get the cold therapy solution you need to treat your injuries as fast as possible without spending a fortune. National Brace and Splint understands that patients seeking rehabilitation products are looking for high quality, effective solutions that are immediately available. That's why National Brace and Splint does its best to only provide proven therapy solutions at reasonable prices. The health and welfare of National Brace and Splint customers is the company's top priority. Call National Brace and Splint today at 888-774-1133 to speak to a customer care representative about our variety of professional rehabilitation products. Your representative will be happy to help you choose the product most suited to your particular injury and ship it to you as soon as possible.